In Medieval Britain the pinfold was used to hold stray animals until they were claimed by their owners. The animals would not be released until a fine had been paid to the pinder. The pinder was an officer of the Lord of the Manor. The site of the Pinfold at Huncote is on Main Street. 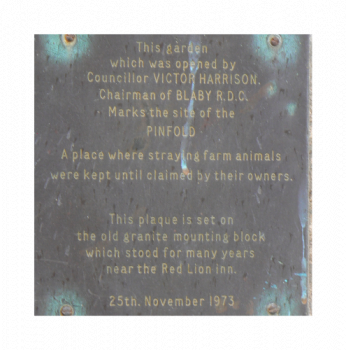 In 1973 a garden was opened on the site and a plaque set on an old granite mounting block which had stood for years near the Red Lion Inn. 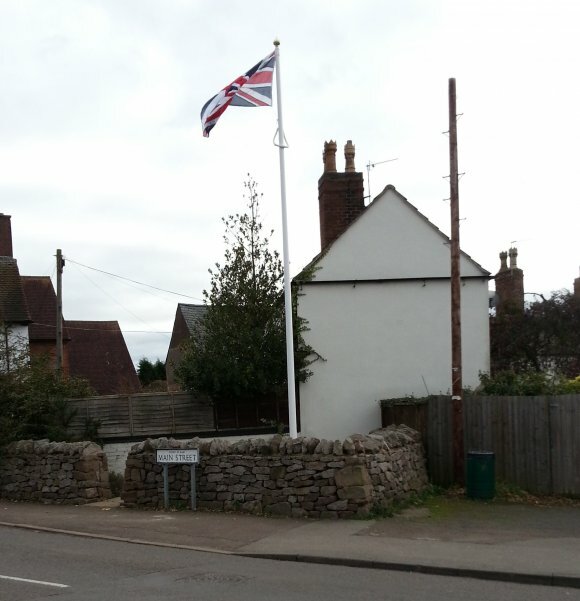 Huncote Parish Council refurbished the Pinfold in 2008, it was part funded by Leicestershire County Council's SHIRE Environmental Improvement Grant and the stone donated by the nearby Croft Quarry owned by Aggregate UK Ltd. local craftsmen built it as a dry stone wall. 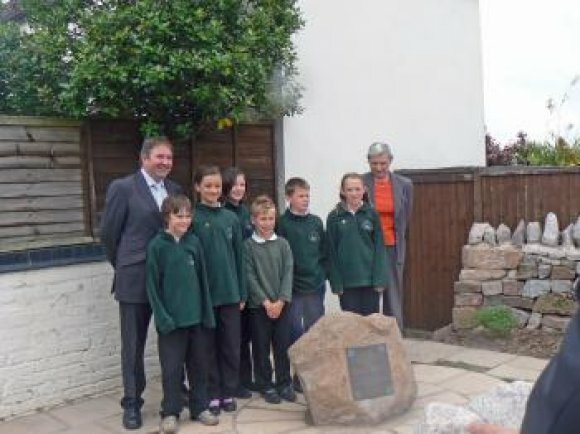 A small ceremony to mark the re-opening of the refurbished Pinfold was held on Wednesday 18th June 2008. 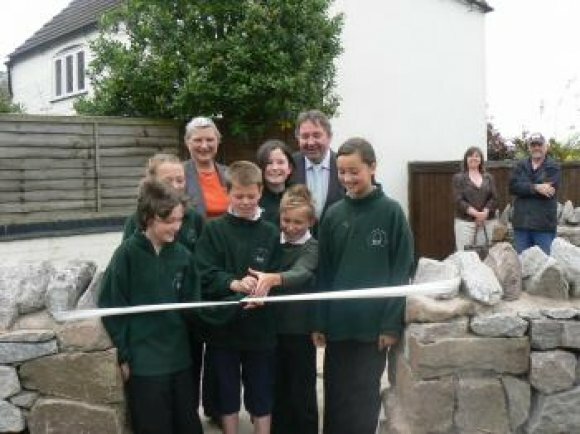 The Chairman of Huncote Parish Council, Mr Alex Knight, (pictured here with Ruth Camamile), invited the children of Huncote County Primary School to cut the ribbon to offically re-open the refurbished Pinfold. The new reclaimed pinfold can be used by any member of the village as a place of rest and relaxation. Children may use it as a meeting place, somewhere they chat and eat their ice creams. 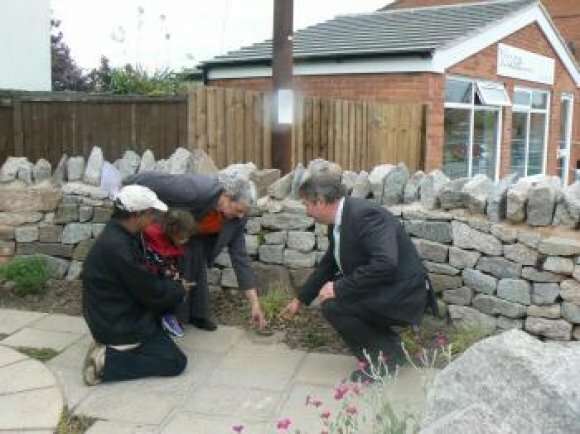 Everyone at Huncote School hope that people will respect the history of this special area and look after its environment. Written by Emily Williams, Year 6, Huncote County Primary School, June 2008. The tethering ring was kindly donated by Mr Davey who found it in his garden in Huncote.